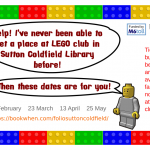 Unless otherwise stated, all events take place in Sutton Coldfield Library. 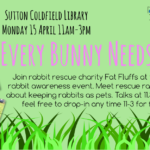 Join rabbit rescue charity Fat Fluffs at this FREE special rabbit awareness event where you can not only meet some rescue rabbits, but also learn all about everything you need to consider should you wish to keep rabbits at home. 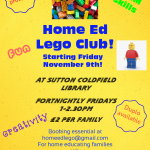 Learn about rabbit welfare, make a toy to keep rescue rabbits happy, get plenty of free advice and much more! Fat Fluffs is a rabbit rescue and sanctuary based in Hampton in Arden. Its aim is to rescue and rehome unwanted, neglected and abused rabbits and to educate the local community in good animal care. They take in all sorts of rabbits and as far as possible, find them loving forever homes. 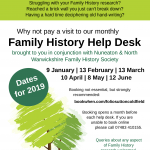 For those with more challenging personalities or continuing health problems they provide sanctuary for them and they stay as part of the family. The rescue has been going since 2008 and in that time it has rehomed more than 1,000 rabbits.